It’s increasingly apparent that my little apartment woodworking experiment has hit a major snag. No, not sheer lack of time because of my hectic work schedule (I find the time). Not even lack of effective work holding (I’ve got that covered). My biggest problem right now is lack of space. Specifically, lack of tool storage space. I’ve pared away everything I can. There is simply nothing more to cull from my on hand tool collection and I’m still short on space. Filled beyond capacity! Like a trendy nightclub! I know I’ve been lamenting the space constraints in previous posts, but I’ve finally decided to do something about it. No, not build a TARDiS. Beginning this weekend, I am doing the next best thing: a major workshop layout redesign. 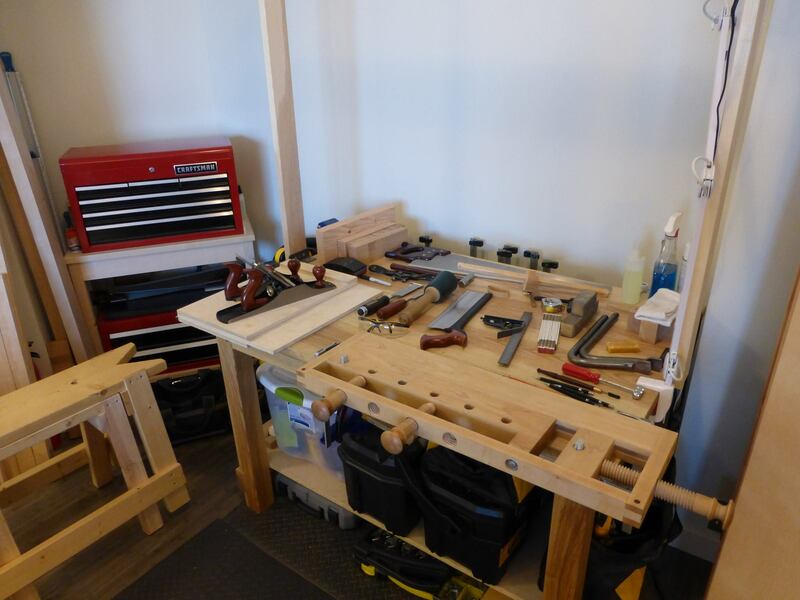 The hope is to find enough floor space for a standing cabinet that can store larger, less frequently used tools and free up workbench and tool chest space for more commonly used items. All without cluttering (further) the travel lanes in my apartment. I haven’t decided yet about the type of standing tool cabinet (store-bought or custom made [by me]). Given my stance on casework, and the need of an immediate solution, I will probably go with store-bought. Seems to be my new theme.